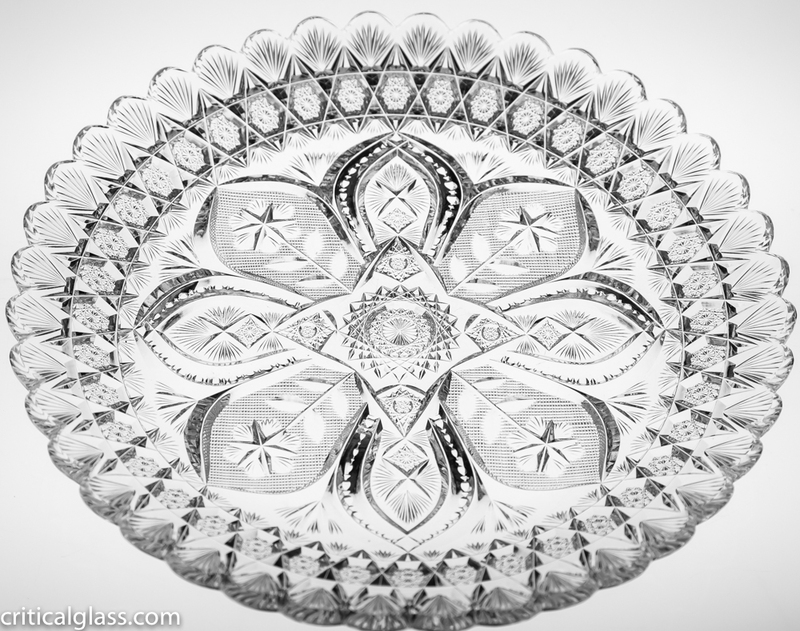 This plate was cut in one of Sinclaire’s rarest designs – Arcadian. 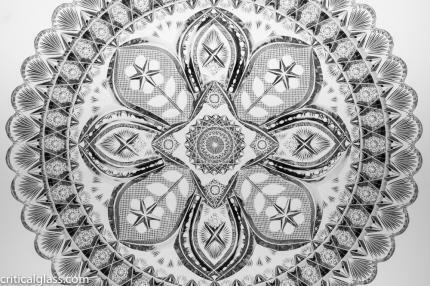 In my many years of collecting glass, I’ve only ever seen a handful of this pattern – perhaps because of the expensive of producing the design. It’s signed in the center with the Sinclaire trademark. 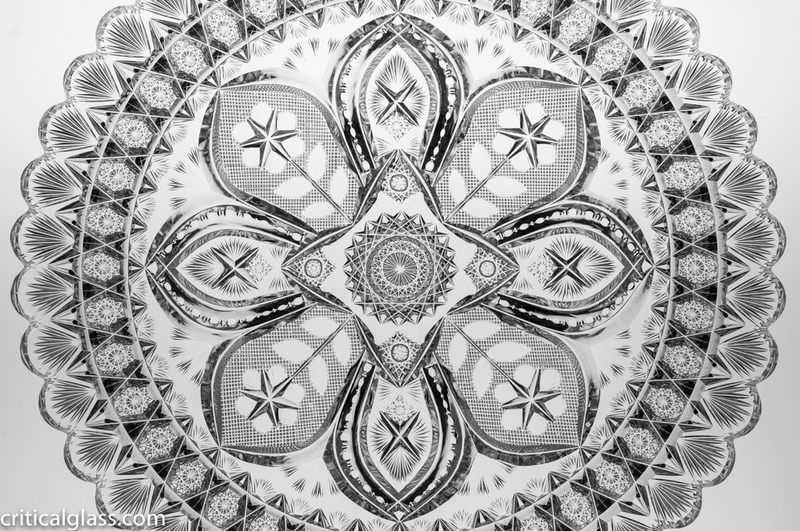 This symmetrical pattern features a central hobstar with four adjacent, diamond-shaped hobstars. Sprouting off of each one are alternating vesicas surround the central hobstars. One vesica features a flat hobstar and an “X” cut with fans on all sides. This vesica is surrounded with deep notched cutting. 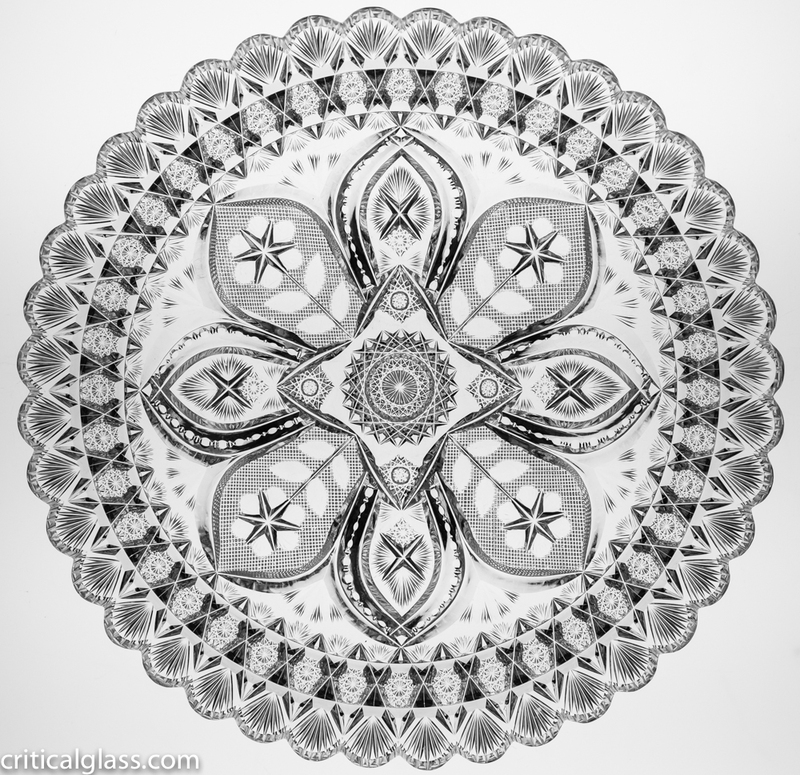 The other vesica features clear cut flowers and tight crosshatching. The border of the plate features tiny, rich hobstars framed by deeper miters and fans all around the scalloped edge. The plate is in perfect condition and on a perfectly clear blank measuring 10″ wide and 1″ tall.